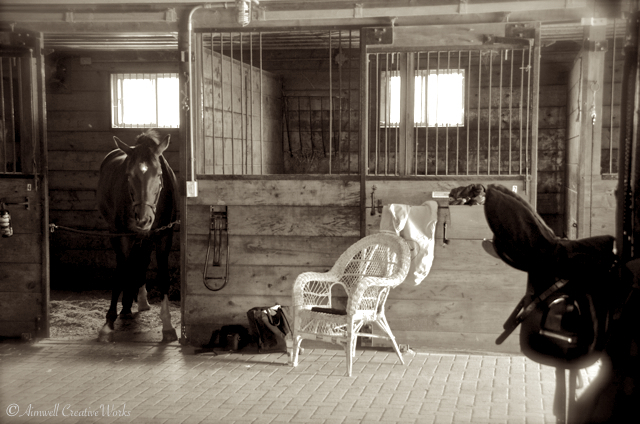 This entry was posted in Animals, Equestrian, Health and healing, Life, Musings, Personal Growth, Photography, Uncategorized, Writing and tagged Aimwell CreativeWorks, barn, body language, Dorothy Chiotti, Equestrian, Healing, Horse, Horse mom, Horse Stories, inspiration, Nurturing, personal growth, relationships, self-awareness, ShakespearesGal, teacher, Therapy, transformation, Wu Wei. Bookmark the permalink. I wish I could experience what you are talking about with Bear. I have always wanted to ride and to be around horses. This Wu Wei would be a perfect fit for me at this time. So instead, I will try the exercise of communing with nature that you described. Thank you. What a lovely experience you shared with Bear. Wu Wei sounds similar to Yoga, but with aspects of Yoga you are moving. In a way, I have spent a large part of my life in the state of Wu Wei. There is a peace of mind and spirit that stays with you. I have done something similar with my dogs that you did with Bear, just out in the dog yard, standing and becoming part of them, the trees, the birds, the flowers. Then one or all of them coming to me, sniffing or licking my hand, sitting near me. The world in general, however, does not encourage or allow that state to last long. The more you do it the more you’ll find it lasts longer, moves you deeper or closer and becomes an anchor in the chaos. This beautiful post actually brought me to tears. Your connection with Bear in the state of doing nothing is simply magical and a lesson I will not forget. Thank you! I read this a few days ago and kept meaning to come back to comment. But I was too busy DOING! This is such good advice, and I really appreciated that you shared your example of how you put it into practice. I need to try this in many aspects of my life but especially with my son. Thank you for sharing such an underused (in N America anyway) practice and such a beautiful moment you had with Bear.